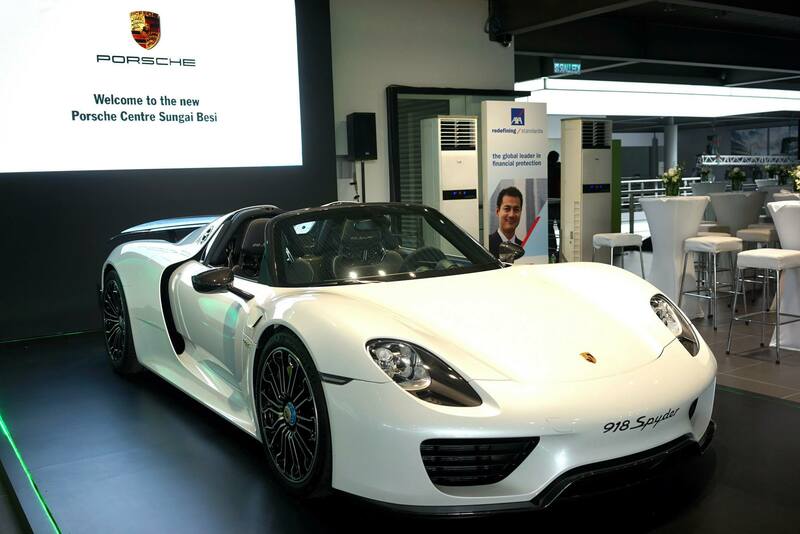 Sime Darby Auto Performance (SDAP), the authorised importer of Porsche vehicles in Malaysia since 2010, officially launched the new Porsche Centre Sungai Besi (PCSB) on 28th May 2015. Sime Darby Auto Performance is under the Motors Division of the Sime Darby Group. 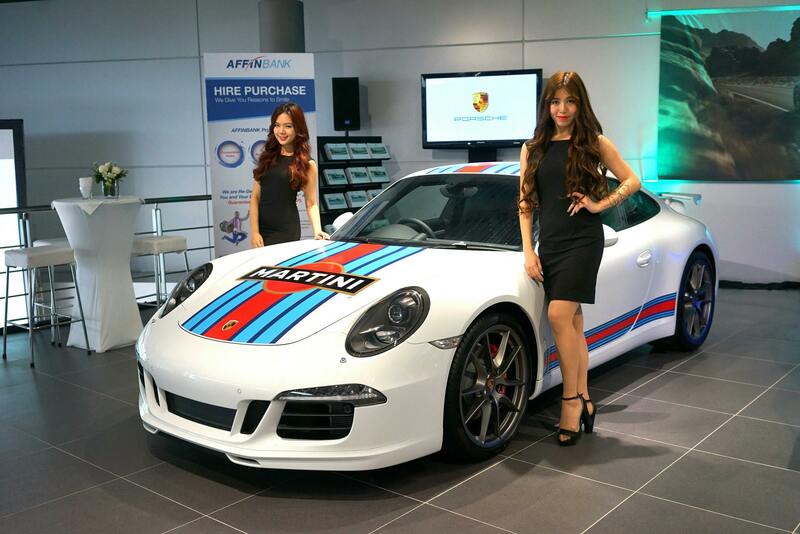 SDAP distributes Porsche vehicles and parts and also provides After Sales services in Malaysia. The new centre is located at 306, Jalan Sungai Besi, and is accessible through Lebuhraya Sungai Besi, North South Expressway, Smart Tunnel and other major highways. The centre aims to provide customers with “bigger facilities, better customer service and world-class Porsche products”. SDAP has invested over RM16 million in the construction of Porsche Centre Sungai Besi, resulting in a new Porsche Centre that reflects the worldwide ethos and quintessentially style of Porsche on a grand scale. The centre has a total build-up of 34,703 sqft, and is a prominent addition to the development of the Porsche brand in Malaysia and will deliver a total customer experience in new and improved ways. Porsche Centre Sungai Besi’s large showroom space is designed to showcase as many as 10 display cars in the showroom. 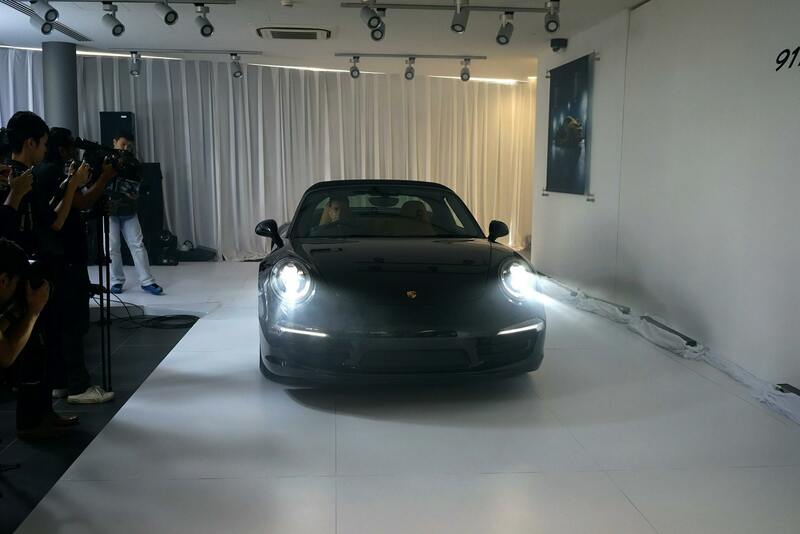 It is equipped with two (2) vehicle delivery bays, a service workshop with a total of nine (9) service bays, and a spacious After Sales reception area that includes two (2) dialogue bays, Porsche Tequipment accessories and a dedicated “shop-in-shop” for Porsche Driver’s Selection merchandise. Porsche owners and fans can purchase exclusive Porsche merchandise from clothing to accessories, toy products to car accessories, and even car care solutions. A highlight of the new facility is the Carrera Lounge, which is a first for a Porsche Centre in Malaysia. This new lounge will provide luxurious comfort and modern conveniences to new and existing customers during their visit to the centre. There is also the Porsche Approved Pre-Owned Car Centre, located on the first floor, offering a wide selection of Porsche Pre-Owned cars. All Pre-Owned cars sold by SDAP are equipped with a minimum two years Porsche Approved Pre-Owned Warranty. The Pre-Owned Car Centre also offers convenient and hassle-free trade-in programs for Porsche owners during their purchase of the next Porsche. The centre will also house training facilities catered to the technical team and sales force. This includes the rigorous preparation process of technicians and sales force staff Porsche Certified, a global certification program by Porsche AG. 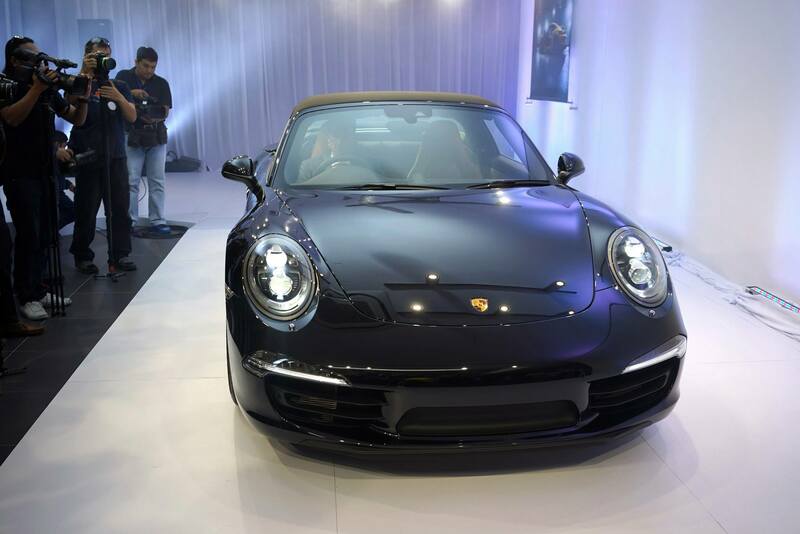 In conjunction with the opening of Porsche Centre Sungai Besi, SDAP officially launched new 911 Targa 4S and the new Cayenne models in Malaysia. The new Cayenne models offer lower fuel consumption, yet delivers more power and higher torque than its predecessors, while the new 911 has legendary Targa styling and brings to life a modern classic. The new 911 Targa combines the timeless design of the original Targa with the contemporary sportiness of the seventh generation 911. The new 911 Targa makes a return to the original concept, with its characteristic fixed Targa bar, and renews the Targa tradition with an innovative roof concept that operates simply at a press of a button. While the car is stationary, the roof can be opened or closed in about 19 seconds from controls on the centre console. To protect the car from damage, the standard integrated rear ParkAssist monitors the area behind the 911 Targa while the roof is opened and closed. If the sensors detect an obstacle within a range of less than 40 centimetres, a warning sounds. This prevents the rear window that is being tipped back from colliding with a closely parked vehicle or other object standing behind the 911 Targa. The 911 Targa 4S delivers 294 kW (400 hp) from a 3.8-litre engine. It has a top speed of 296 km/h, and can sprint to 100 km/h in 4.4 seconds when equipped with PDK and the Sport Chrono package. Fuel consumption ranges from 10.0 to 9.2 l/100 km (237-214 g/km CO2), depending on the transmission fitted. 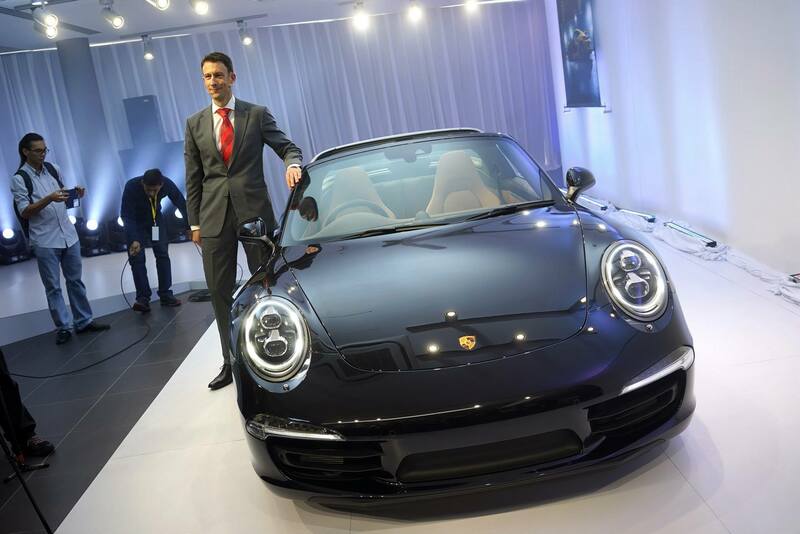 The car’s engine and vehicle performance data, and fuel efficiency equivalent to those of the 911 Carrera 4 Cabriolet. “We are thrilled to be moving in-to the central automotive hub in Kuala Lumpur with the new flagship facility. With this new 3S centre, it is a big step forward for us to provide better service to our customers. Sungei Besi is also the first Porsche Centre in Malaysia that complies to the new Porsche corporate architecture. We look forward to providing customers a complete ownership experience,” said Arnt Bayer, Chief Executive Officer of Sime Darby Auto Performance. “At SDAP, we ensure that your vehicles are taken care of by our team of highly skilled employees who are geared towards providing efficient support and customer satisfaction. With this new training facility, I am confident that we will be able to provide just that,” continued Bayer. The new Cayenne models deliver increased efficiency, even more precise handling, a sharper design and even more extensive standard equipment. The five models (5) are available include: Cayenne, Cayenne Diesel, Cayenne S, Cayenne S Diesel, and the Cayenne S E-Hybrid, the first plug-in hybrid in the premium SUV segment. The Cayenne S E-Hybrid offers outstanding fuel consumption and emission values in the premium SUV segment: 3.4 litres per 100 kilometres and 79 g/km CO2. Porsche is the only manufacturer worldwide to offer three plug-in hybrid models – Cayenne S E-Hybrid, Panamera S E-Hybrid and the 918 Spyder. All new Cayenne models have improved performance and torque coupled with lower fuel consumption, with the familiar engines upgraded and optimised. They consume less fuel than their direct predecessors and yet have improved performance figures. The Cayenne S comes with the 3.6 litre V6 bi-turbo engine – an engine that was specially developed for Porsche SUVs and was initially fitted in the Macan. In the Cayenne S, it surpasses the previous V8 engine in all key data. The bi-turbo charging and downsizing via a reduction of the engine capacity and the number of cylinders enable a clear efficiency increase coupled with improved driving performance. Power output has increased by 20 hp to 420 hp and the torque has increased by 50 Nm to 550 Nm, whilst the fuel consumption has fallen by 0.9 litres to less than ten litres per 100 kilometres. 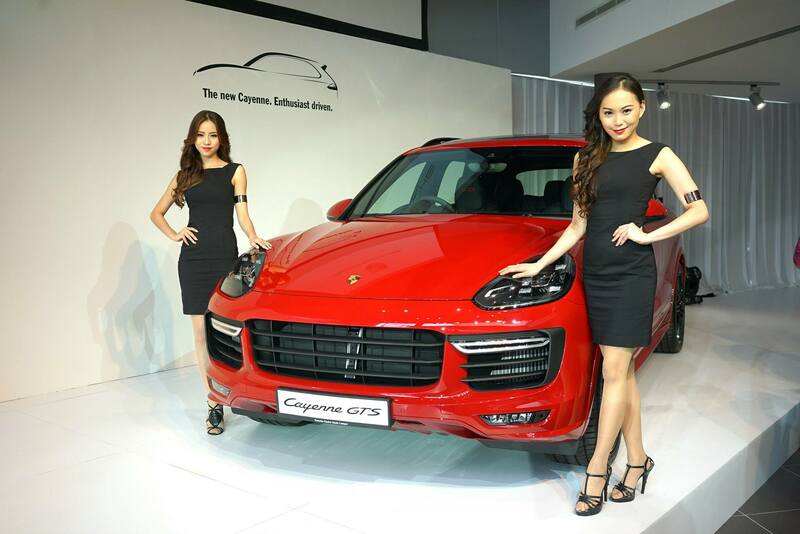 The power output of the top model Cayenne Turbo has also increased by 20 hp to 520 hp and the torque by 50 Nm to 750 Nm. This helps it to make the run from o – 100km/h 0.3 seconds quicker than its predecessor, and reaches a top speed of 279 km/h, however fuel consumption has been reduced by 0.3l/100km. The Cayenne Diesel now has more power and torque, and combining that with a reduction in fuel consumption, produces an increased maximum range. Thanks to a larger turbocharger, the maximum power output of the three-litre V6 engine has increased by 17 hp to a total of 262 hp, whilst the maximum torque has increased by 30 Nm to 580 Nm. The sprint from 0 to 100 km/h is now 0.3 seconds faster, while the vehicle has a top speed of 221 km/h – with fuel consumption of 6.8 to 6.6 l/100 km. The Cayenne S Diesel comes with a 4.2 litre V8 turbodiesel engine that delivers a power output of 385 hp and an impressive 850 Nm of torque. It sprints from 0 to 100 km/h in 5.4 seconds, and has a top speed of 252 km/h. Fuel consumption in accordance with the NEDC is 8.0 l/100 km. We also got the preview the new plug-in hybrid sports car – the Porsche 918 Spyder. The 918 Spyder achieved a record-breaking lap of 6:57 minutes around the Nürburgring Nordschleife. All photos are copyright of Tim Chew (Kuang Chern) and may not be used for any purpose without written consent.